*The committee consider bids from any state if the designated state cannot provide a suitable bid. The Region 5 Committee requires a detailed layout (drawing) of the competition arena, spectator area and the other areas uploaded later in this form (JO Nationals & Eastern Meet Registrations, Hotel Registrations, Apparel Store, Coaches Apparel, JO National Apparel & Measuring Room). NO FLOOR LEVEL SEATING PERMITTED!! Include restrooms, vendors, ticket area, etc. The Region 5 Apparel Store is permitted to sell apparel with Region 5 and Logo. The host vendors are not permitted to sell apparel with Region 5 or the Region 5 Logo on it with the exception of meet t-shirt. 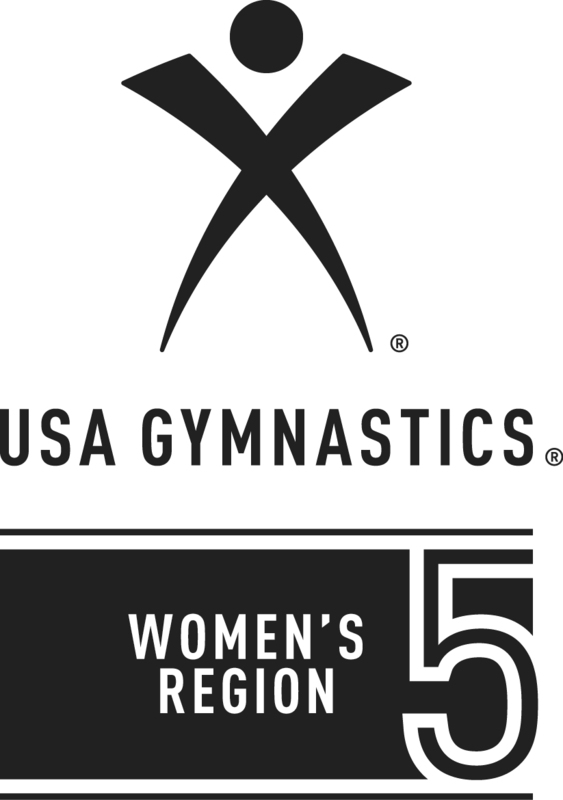 The competition fee (head tax) for the 9/10 Regional Championships is $1.00 per gymnast. All questions answered here have been forwarded directly to the RACC. Please download, print and return this agreement (click on the words "this agreement" to view document) along with as much detailed information as possible for your bid to be considered.